Millions of homes in India are without power grid. They are using kerosene or other various types of inefficient fuel lamps. These inefficient fuel lamps have several problems such as harmful to health, hazardous, unreliable, insufficient light, etc. To overcome this, we have come up with Solar LED Lantern that is the best solution to overcome all the above problems. 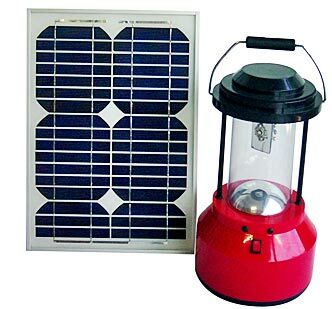 Solar LED Lantern is useful at homes where grid is not available. Solar LED Lantern, offered by us, can also be used at remote or rural areas, hilly regions, forests, and also in urban homes as an emergency light. Our Solar LED Lantern consists of solar panel, SMPS charger, rechargeable maintenance free battery, high efficient Power LEDâ��s and Micro controller based electronic circuitry to drive adequate light output constantly and vary the LED light intensity in four ranges bright light to bed light.